All about the people who give fashion its fuel and life. The people behind the "style icons." Those people inspire me. 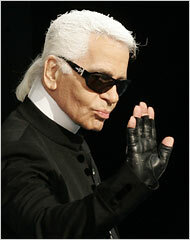 Anyone breathing should know who the name: Karl Lagerfeld. He is a design genius who has worked with and for some of the most well known people in the fashion and entertainment world. He is one of the worlds greatest designers and it would be a shame if all you knew about him is that he designed for Chanel. That’s why I am here to let you in on his life because apparently it doesn’t revolve around Chanel. He was reportedly born on September 10th, 1933 as Karl Otto Lagerfeldt in Hamburg, Germany. Some speculation has been stirring around his birthday, some say it was 1938 but many sources have confirmed 1933. However, Karl doesn’t want anyone to know his real birth date, he was even quoted saying “born neither in 1933 or 1938.” He has one older sister named Martha Christiane and a half sister , Thea. His father was German and made a lot of money from introducing condensed milk to Germany. His mother was a lingerie saleswoman in Berlin when she met her husband in 1930. His family was very wealthy. He was raised on a 12,000 acre estate. At the age of 4 he insisted on having his own valet because he liked to change clothes several times a day. His mom was kind of… I’ll just say different. She didn’t want him to wear glasses, though he needed them, because she said children with glasses are the ugliest thing in the world. She criticized his smoking because he had to show his hands which she believed where not beautiful. 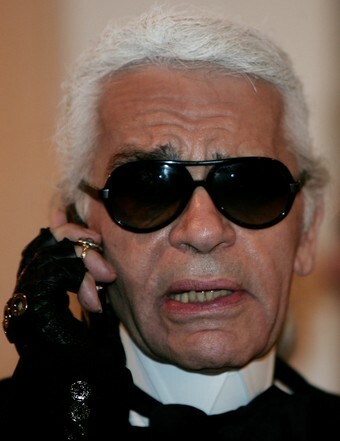 Karl moved to Paris in the early 50’s. He worked as a draftsman for a fashion houses. A draftsman drew pictures of fashions instead of having photographers. This made his drawing skills in tip top shape. During the mid 50’s at the age of 22 Lagerfeld was given the position as an apprentice at Pierre Balmain after winning getting second place ( to Yves Saint Laurent) in a competition for a coat sponsored by International Wool Secretariat. This was the birth of a rivalry. A while after his second place win he told the press that designing coats was his list favorite thing to design and that he really loved little black dresses. But then, YSL won the contest for a dress design, beating Lagerfeld. 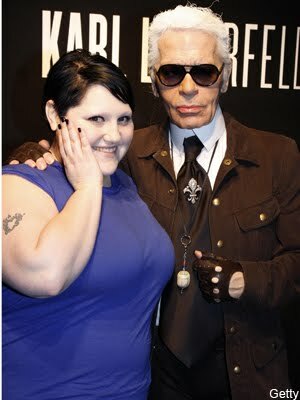 This led Lagerfeld to say that he wasn’t very impressed. After three years at Balmain in 1958, he went to work for Jean Patou where he was given a lot of experience. He designed under the know Roland Karl and his first collection was not very well liked. However his second collection was a great improvement. In the 1960’s he made a collection with vary short skirts, the shortest in Paris and needless to say, people did not like it. He worked as a freelance designer for brands like Mario Valentino, Repeto, and Monoprix. He also was able to open up his own shop with the help of his parents. In true Karl Lagerfeld fashion, outside of the box, he consulted with a lady named Madame Zereakian, Christian Diors’s Armenian fortune teller who told him that he would succeed in fashion and perfume. 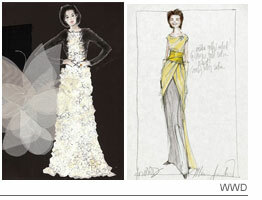 Karl designed for a Roman couture house called Tiziani founded by Evan Richards of Texas. When the brand decided to do ready to wear in about 1963 Evan and Karl sketched up 90 outfits. 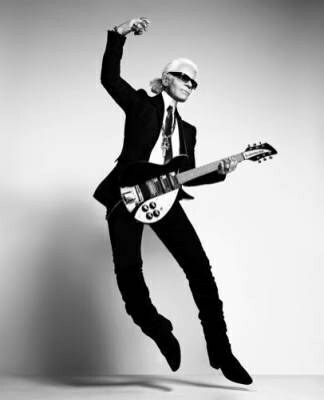 Karl remained with the company until about 1969 after bringing in fans of the label such as Elizabeth Taylor, Dorix Duke and Lollobrigida. 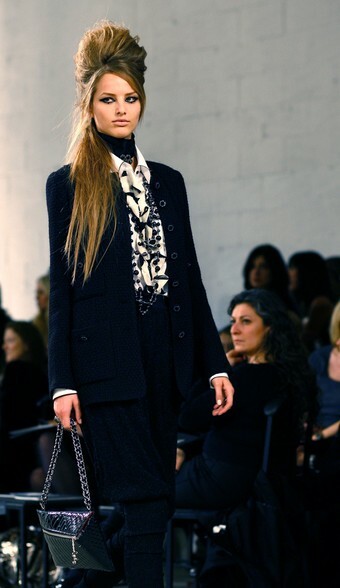 Karl freelanced for Chloe in 1964 starting off with a few pieces and ending up making a whole collection. In 1970 he collaborated with Curiel. His first collection with them was “drippy drapery elegance.” There were velvet shorts and black ankle length capes. True to Karl’s personality. his Spring 1973 collection for Chloe got Karl a lot of press. He made the surprise skirt that was ankle length pleats and actually pants and he designed looks inspired by Carmen Miranda, mini bra dresses and short skirts. He makes a lot of clothing that is inspired by people in culture. 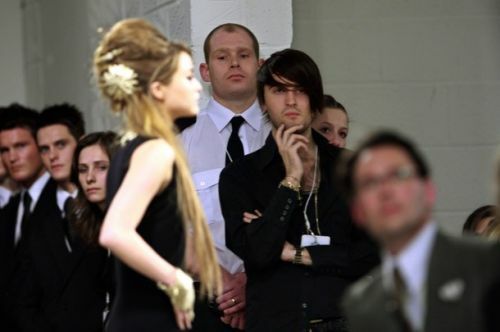 He line of Chanel that was inspired by Amy Winehouse. 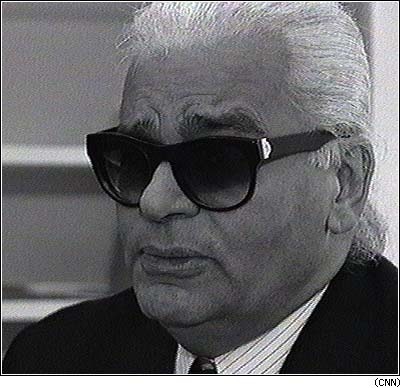 In 1972 Karl worked with Fendi making furs, clothing and accessories. During the 70’s he also designed costumes for theatrical productions. Being a costume designer really helps with your couture work and vice versa. No wonder he is such a genius ! 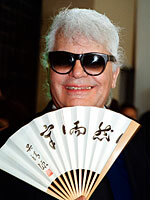 In 1983 Karl was hired by Chanel’s corporate head to reinvent the Chanel brand since the death of Coco in 1971. 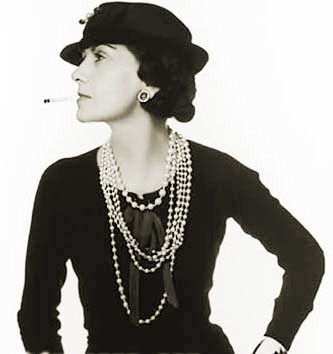 Karl was said to have a weird psychic connection with Coco saying that he could Chanel her to reinvent the brand, but he never wore Chanel himself. Here is a quote for thought: Luxury is not the opposite of poverty but the opposite of vulgarity. Karl had a lot of international success as well. 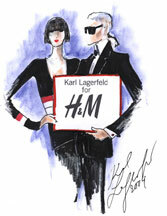 He worked with H&M, Trevira, Wolford and Philip Colbert. 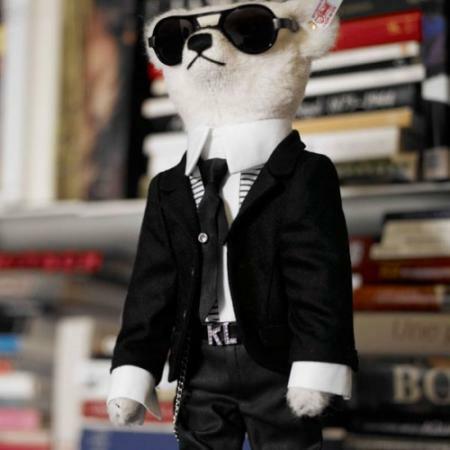 In 2006 he announced his launch of his new collection called K Karl Lagerfeld with T shirts and jeans. 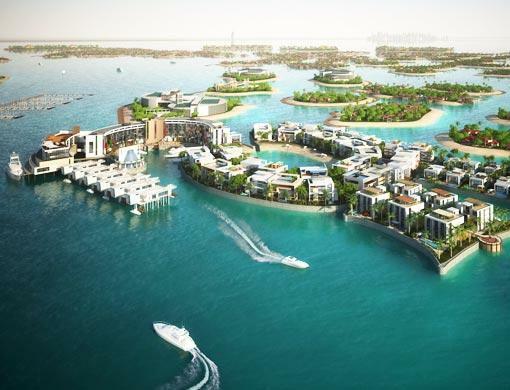 Karl has a deal with Dubai Infinity Holdings to design homes on Isla Moda, the world’s first dedicated fashion island. Fashion Island?!!?!? Can we say SPRING BREAK! Karl has done a little of everything. He is truly well rounded in the fashion and design world. However, he didn’t become so renowned without a few hiccups along the road. In the 90’s Anna Wintour walked out of one of his shows because he hired strippers and an adult film start to model his collection for Fendi. 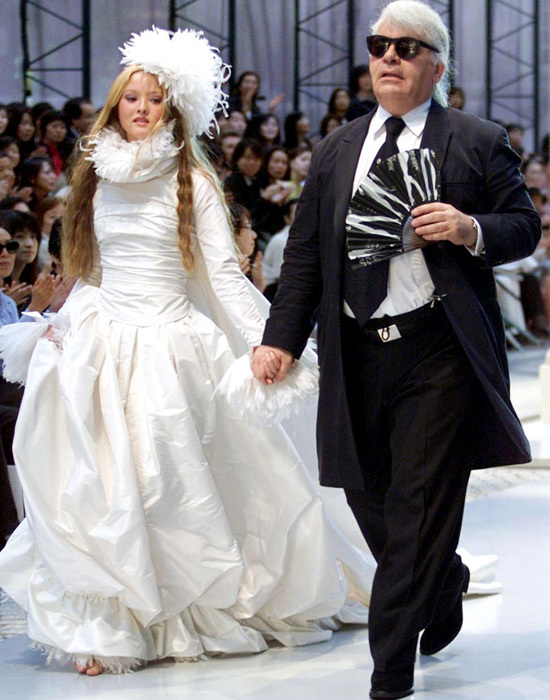 PETA had a some issues with Karl, of course because they have problems with almost every major designer. He believes that banning fur is childish and in a meat eating world it would be absurd. He had a few problems with Heidi Klum saying that she was no runway model, that she was too heavy. He reportedly said she was a commercial model. Then stories developed that he did not say that and it was in fact a quote from Wolfgang Joop. 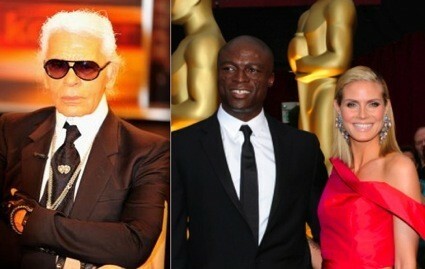 Karl said that he didn’t now Heidi because she never worked in Paris. Karl, in his interview as Coco Chanel in Harper’s Bazaar, said that he ( Coco) was never a feminist because she was never ugly enough for that. Karl was not happy with the movie Coco Before Chanel’s lead, Audrey Tautou and told the press he would have rather Penelope Cruz play the part, this followed his anger towards the actress for wearing Chanel Rubber Boots to an interview. He said he was unaware that Chanel made rubber boots, inferring that her boots where knockoffs. Of course there is some weight controversy. In the issue he believes that we should focus on the amount of obese people in the world rather than on the small amount of women who are considered underweight. Speaking of weight, Lagerfeld lost 90lbs on a low calorie diet and turned this infamous diet into a book. He lost the weight because he wanted to dress differently and wear clothes by designer Hedi Slimane. Right now his ambition in life is to wear a size 28 in jeans. btdubs ( btw) he met Beth Ditto and considered her a muse, and she is two of the things he doesn’t like, fat and a feminist. I really respect Karl for all the work he has done. He is definitely an inspiration to us all. I am really astonished to learn that he was not the best friend of Coco Chanel because how I have him associated in my mind is only with Chanel and no other brand. I mean he had a whole career before Chanel and he has his own thing going on while he is with Chanel. I appreciate his honesty and his ability to stay true to himself and what he believes in, whether or not the public likes it. For example, his list of 10 things that he CAN do without include: food, fat people, children, going to other places that involve people, going to other places at all, people who try to touch him, people who try to analyze him, the nineties, technology and the Internet, and love. If that isn’t honest I do not know what is. He is very against the norm, he ever said he is pro-prostitution. Also check out his twitter page… 95,933 followers and following no one. Typical!